Response: Older people are more like to have more than one chronic condition (multi-morbidity), and as such as are more likely to be prescribed several medications (poly pharmacy) to treat those conditions. At the point of hospital discharge, older people are given different / new medications in addition to their old ones, and this puts them at higher risk of harm related to medicines. Our study led by Brighton and Sussex Medical School (BSMS) and King’s College London involved five hospitals and 1,280 patients (average age 82 years) in South England. Senior pharmacists interviewed patients and carers, reviewed GP records and analysed hospital readmission to determine medication-related harm. The study found that more than one in three patients (37%) experienced harm from their medicines within two months of hospital discharge, and that this was potentially preventable in half of the cases. Medication-related harm was most commonly found to occur from the toxicity of the medicine itself and in a quarter of cases from poor adherence. 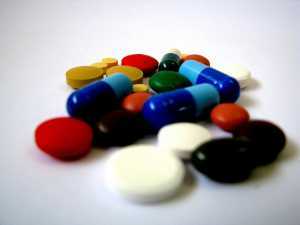 The medicines found to pose the highest risk were opiates, antibiotics and benzodiazepines. Patients suffered a range of side effects including serious kidney injury, psychological disturbance, irregular heart rhythms, confusion, dizziness, falls, diarrhoea, constipation and bleeding. Response: It is important for all individuals, but especially older people to know the medicines they are taking, why they are taking them, and possible side effects, and to report these side effects to their doctors and pharmacists as soon as they experience such side effects. Response: It is essential that medicines are used with caution in older people, and any unnecessary medications to be stopped as soon as possible. It is important to predict which group of older people are at most risk of harm. Future research should address initiatives on ‘Deprescribing’ to reduce the potential harm of medication using existing tools such as ‘STOP/START criteria, and Updated Beers’ criteria. Response: Enhancing ‘health literacy’ of older people is key in addressing the problem of medication-related harm. Older people and their families/ carers should be informed who to seek help from in their local communities when harm from medicines happens. This entry was posted in Author Interviews, Geriatrics and tagged elderly, geriatrics, medications, side effects by Marie Benz MD FAAD. Bookmark the permalink.